Incumbent Mass. Governor Charlie Baker and U.S. Senator Elizabeth Warren cruised to victory, while Democrats gained a U.S. House majority. In a midterm election framed as a referendum on President Donald Trump, Massachusetts re-elected its popular incumbents — and on the national stage, Democrats regained control of the U.S. House. Democrats flipped the seats they needed to wrest the House majority from Republicans, while Republicans increased their majority in the U.S. Senate — capping off a high-intensity midterm season with a tempered victory for Democrats. 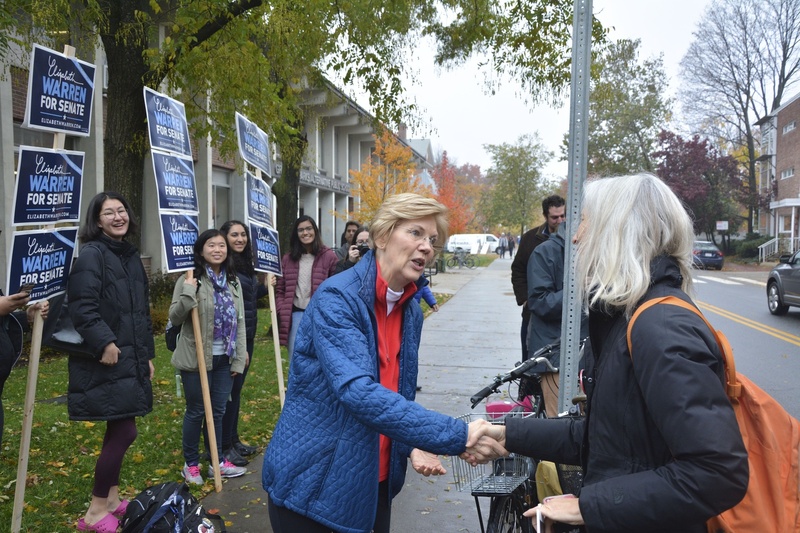 In Massachusetts, incumbent Democratic Senator Elizabeth Warren — who cast her own vote in Cambridge earlier this morning — received overwhelming voter support in her bid for a second term to the U.S. Senate. Warren’s win was called immediately after the polls closed. Her challenger, Republican Geoff G. Diehl, received slightly over one-third of the vote. Diehl led the state's efforts to elect Trump in 2016. Incumbent Massachusetts Governor Charlie D. Baker ’79, a Republican frequently ranked as America’s “most popular” governor, held onto his seat with equal ease. 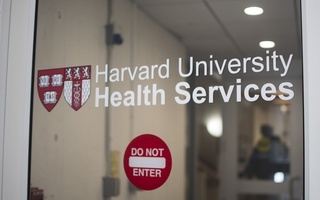 He fended off a challenge from Democrat Jay Gonzalez, who alienated fellow Democrats — including Warren — with a proposed endowment tax that would have cost Harvard over $500 million a year. Incumbent Lieutenant Governor Karyn Polito also easily defeated Democratic challenger Quentin A. Palfrey ’96. 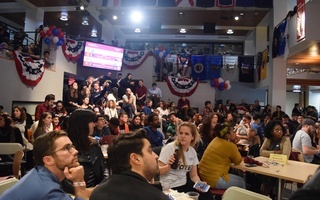 Following Baker’s victory, John G. “Sean” Palfrey ’67, father of Quentin Palfrey and Adams House faculty dean, said he was confused by the magnitude of Baker’s dominance throughout the race. “It seemed a little surprising to us that, in this quite blue and progressive state, the voters like to have a Republican governor,” Sean Palfrey said. The gubernatorial and Senate races in Massachusetts were both called by 8:15 p.m, only minutes after the polls closed. 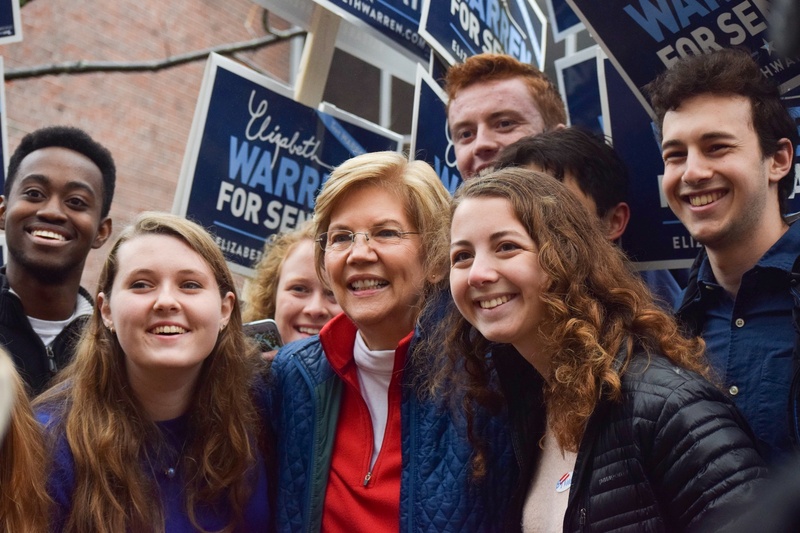 Senator Elizabeth Warren rises early to cast her ballot at the local Cambridge polling center, an elementary school at 44 Linnaean St.
Warren poses for a photo with some members of the Harvard College Democrats. In addition to re-electing popular incumbents, Mass. voters also used their ballots to show their support for transgender rights. Ballot Question 3 — which upheld a 2016 law banning public discrimination against transgender individuals — received an overwhelming “yes” from Mass. voters. The results of Ballot Question 2 were equally decisive. 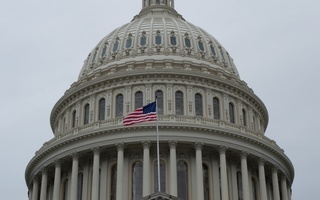 Voters showed strong support for the question, which would establish a commission to push for a limit to national corporate political spending. Question 2, like Question 3, received roughly 70 percent of the vote. Ballot Question 1 — which proposed to limit the nurse to patient ratio — was the first of the questions to be called. Over two-thirds of Massachusetts voters cast a vote against the proposition, allowing hospitals to assign patients to nurses however they see fit. Down the ballot, Massachusetts voters largely supported their incumbents. 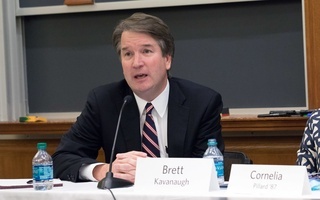 Democrat Maura T. Healey ’92 will remain the commonwealth's attorney general after fending off a challenge from Republican James R. McMahon, while Democrat William F. Galvin succeeded in his race for secretary of state against Republican Anthony M. Amore. Democratic incumbent Katherine M. Clark of Massachusetts's 5th Congressional District — which includes Harvard’s Cambridge campus — was also easily re-elected to her fourth term. She defeated Republican challenger John Hugo by a significant margin. Meanwhile, Democrat Ayanna S. Pressley, who ran unopposed after defeating long-time incumbent Michael E. Capuano in the September primary, will represent Massachusetts's 7th Congressional District in Washington, D.C. Part of the district includes Harvard’s Allston and Longwood campuses. Marjorie Decker, a Mass. state representative, tells Harvard students to get involved in politics and make a change. "You can make a difference right in the community you’re living in." Around the country, the results ultimately split control of Congress. Democrats made significant gains in House races in New York, New Jersey, California, Pennsylvania, and Virginia. They also picked up a few House seats in Texas and Iowa. Meanwhile, in the Senate, Republicans picked up seats from Democrats in North Dakota, Missouri, Florida, and Indiana, expanding their majority. Former Massachusetts governor and 2012 Republican presidential nominee Mitt Romney also won a Senate seat in Utah. In Texas, incumbent Senator Ted Cruz managed to narrowly fend off Democratic challenger Beto O’Rourke in a closely-watched race that became the most expensive U.S. Senate race in American history. In the gubernatorial races, the anticipated “blue wave” largely did not make landfall. Florida chose a Republican candidate, Ron DeSantis, over the state's potentially history-making Democratic challenger, Andrew Gillum. 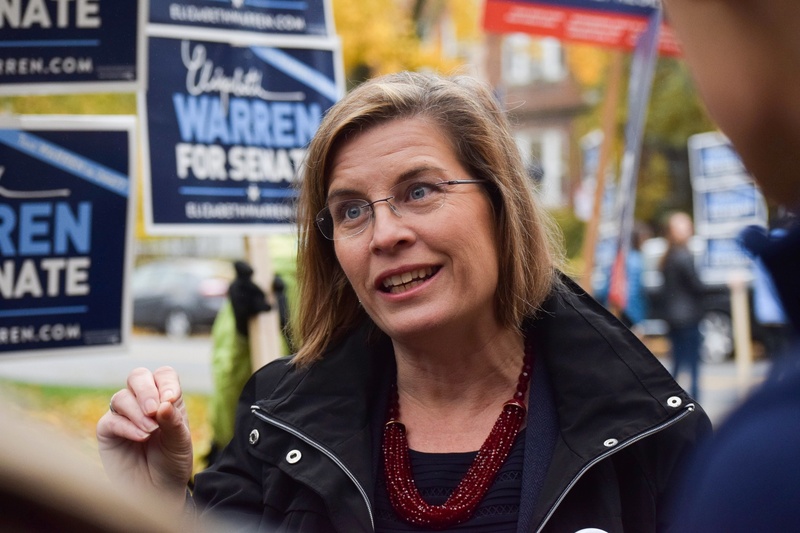 Connecticut momentarily flipped from blue to red with the election of Republican Bob Stefanowski — but flipped back from Republicans to Democrats early Wednesday morning. A previous version of this article incorrectly indicated that Connecticut flipped from blue to red in the 2018 midterm elections. In fact, it llater flipped back to blue. —Staff writer Benjamin E. Frimodig can be reached at benjamin.frimodig@thecrimson.com.